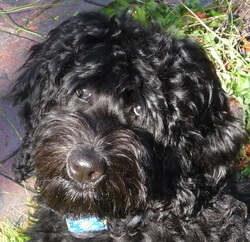 Please read over how to adopt a Leapfrog Labradoodle below. To learn more and to start the adoption process click on the following links. 1. Please start by browsing our site. If you have any questions at all, please contact us. We would love to hear from you! 2. Submit an application and wait to hear from us. We will do our best to call you within 24 hours to review your application. 3. Once your application has been approved, you will be asked to submit a $500 deposit to reserve your puppy. As soon as your deposit has been received, you will be placed on the wait list for the litter of your choice. Deposits are nonrefundable; however, you are welcome to transfer your application from one litter to another if space on the wait list permits. If we cannot provide a puppy that matches your specifications within 12 months, we will gladly refund your deposit. You may make your deposit via email bank transfer, Paypal, certified cheque, or money order. Your deposit will be deducted from your puppy's adoption fee. Please do not submit a deposit before your application is approved. We take our responsibility for the well-being of our puppies seriously and we are very selective about the homes our puppies go to. We are equally dedicated to ensuring that each and every family who adopts a Leapfrog Labradoodle receives a puppy that they are absolutely delighted with - one that complements their lifestyle. If, after reviewing your application, we do not feel we have the right puppy for you, you can trust us to tell you so. If appropriate, we will refer you to another reputable breeder. 4. Once we receive your deposit we will send you an email to confirm that you are on the reservation list. From that point onward, we will be in touch with any updates. 5. As soon as the puppies are born we will send you the birth announcement, followed by weekly photos and updates. 6. The remaining balance of $2250 plus tax is due when the puppies are 6 weeks old. 7. Puppies are temperament tested and allocated to families at 7 - 7.5 weeks. 8. At 8-9 weeks of age, puppies are ready to go to their new homes! Leapfrog reserves the right to retain puppies as future breeding prospects before assigning companion or assistance dogs to families on our wait list. We also reserve the right to refuse to sell a puppy at any time, to any person, at our sole discretion.